RegAMoney.com: There’s more good news in the Regulation A+ equity crowdfunding world! At this year’s NIBA Conference held in New York City, the percentage of exhibitors seeking funding via Reg.A+ seemed to be on the rise and exponentially growing (as predicted on the “Reg.A Money Show” many times). As companies continue to discover Reg.A+ as a means to access capital markets, more and more knowledge is needed by these issuers to fully utilize all the benefits they can derive by this ... Maggiori informazioni crowdfunding vehicle. 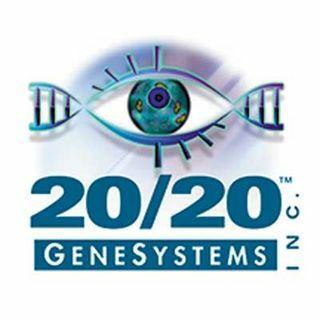 Most do not know there are many components to the Jobs Act, and in this podcast we interview Jonathan Cohen, Founder, President, and CEO of 20/20 Gene Systems, a company that’s pioneering early detection and precision medicine in the battle against cancer. They are using a crowdfunding aspect of the Jobs Act and listed their offering on Microventures, a crowdfunding portal created by crowdfunding industry giant IndieGoGo – and we answer a listener question about why these crowdfunding portals are so important for an offering’s success.